As you can tell by my blog, I adore minimates. They're ridiculous, unnecessary, and absolutely trivial but I love them. They don't take up much space and have more detail than any 2 inch toy ought to. Sometimes I feel like I'm the only one who still buys these things and they keep getting harder and harder to find. For #ThrowbackThursday we're going back to when the problem started: my first year of university (gulp) over ten years ago. My friends bought me 3 packages of minimates (for Christmas maybe?) and it was all down hill from there. 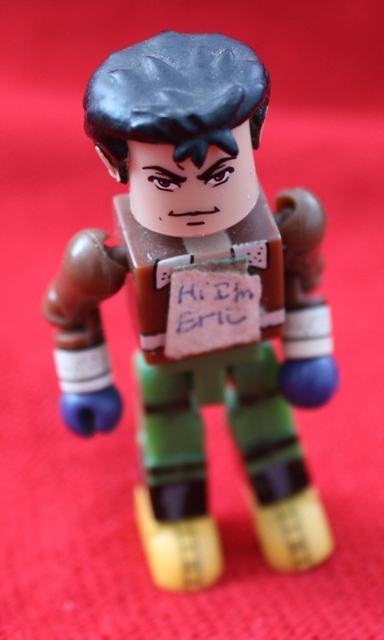 Minimates as a brand had only just begun. 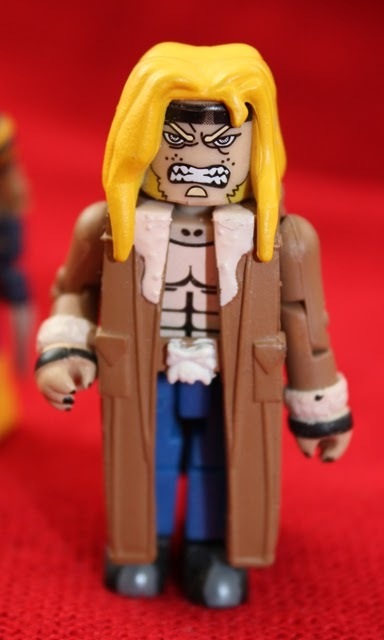 Before these X-men figures (Wave 3), the only other Marvel products were based on surprisingly Daredevil (Wave 1), The Hulk (Wave 1), and Spider-Man (Wave 2). 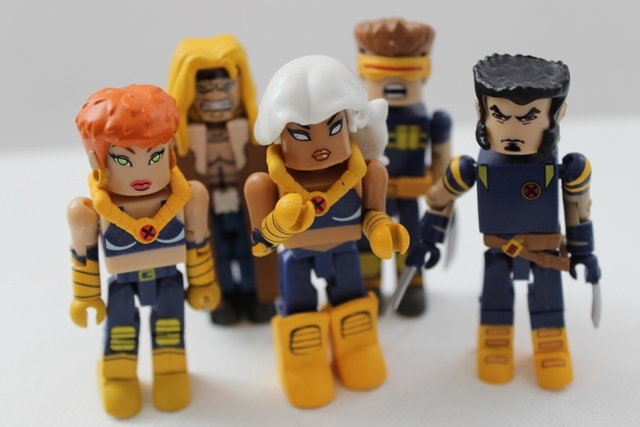 Wave 3 was loosely based on the New X-men series of comics and contained Cyclops (masked and unmasked) & Jean Grey, Wolverine & Sabretooth, and Storm & Logan, because even in the beginning we need 2 Wolverines. While the outfits are fairly simple, each character has some unique features: Storm's boots, Wolverine's belt, and Sabretooth's amazing coat (to name a few). 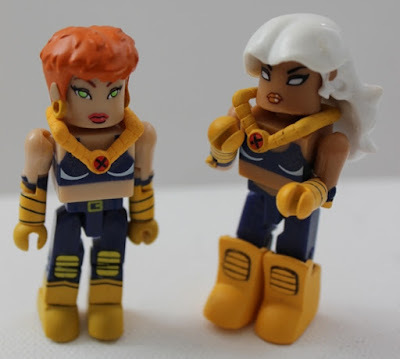 The hair sculpts are all different and while Jean and Storm's hair both tend to go missing, it isn't hard to see why my collection grew out of control. But Jill, why are there only 5? Didn't you say you had 3 packages? Yes I did, and it's the same reason some of these toys might be wearing the wrong pants, hands, and feet. You see, stress can get to you in first year university and it makes you do silly things. In my case, it made me create my Sociology TA out of the extra Logan minimate. Say hello to Eric, the only custom I've ever made.